The SAAB 340 is a twin-engine turboprop airliner designed and manufactured in Sweden. It was originally developed from a partnership between SAAB and Fairchild, however when Fairchild discontinued its manufacturing processes, all construction was moved to Sweden. The airplane debuted in 1983 and has enjoyed wide success as a regional aircraft with airlines around the world and has been utilized in military applications as well. The airplane shows great versatility and has seating for more than 33 passengers and a crew of 3 (two pilots, and one flight attendant). Performance is good with the 340 capable of operating from airports with runways shorter than 5,500 feet. Speed isn’t bad either with the airplane able to cruise at nearly 280 knots. Range is typical for a regional airliner with a little over 900 nautical miles possible. 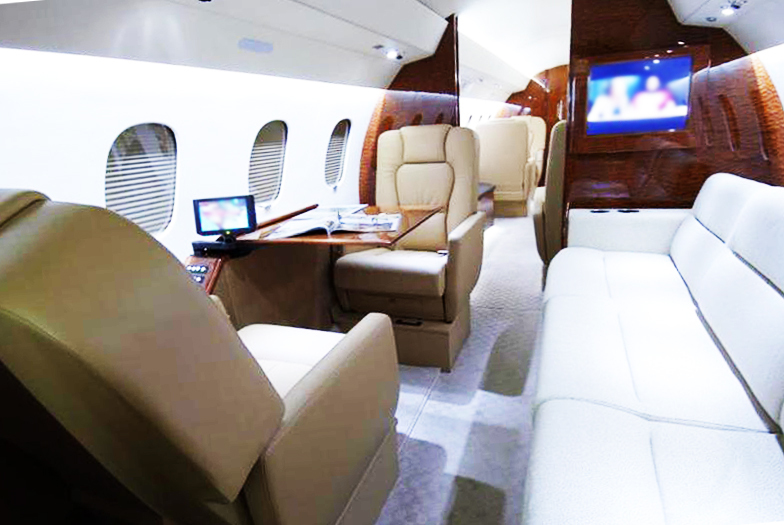 Passenger comforts are also normal from what one would expect from a regional turboprop. There is no shortage of noise from the General Electric CT75A2 engines that swing 11-foot-diameter propellers and with 25,000 feet the maximum altitude, lower altitude cruise is the norm. The airplane is comfortable however, and the flight deck is mostly digital with modern avionics and lcd screens on the panel. As sales declined in the late 1990s, SAAB decided to cease production in 1998. Other variants of the airframe include the SAAB 340B (updated version with higher gross weight) and the SAAB 2000 (which retained the higher gross weight and added a stretched fuselage capable of carrying more than 55 passengers). The SAAB 2000 also had a fully modernized “glass flight deck” with lcd screens covering the panel. Although the airplane is no longer in production, it is still in service and many examples can be seen operating worldwide. For charter rates and availability of the Saab 340B, please submit the flight request form, or call our agents 24/7 at 1-954-359-0111. BAGGAGE CAPACITY: 20.6 cu ft.